Ancel Keys – History Lesson. 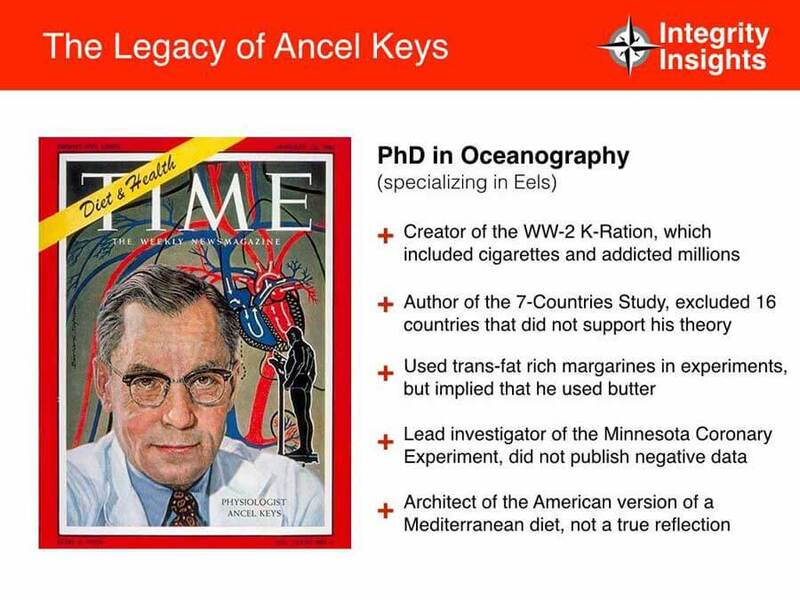 The story of Ancel Keys is told in a way intended to correct the predominent keto narrative of Keyes as Anti-Christ (Denise Minger. THE TRUTH ABOUT ANCEL KEYS: WE’VE ALL GOT IT WRONG). Denise includes a table that looked at all cause mortality and not just the fat/cardio chart that Keyes is infamous for producing. Read Denise’s excellent BLOG post for the background of this table. A positive number is an association. The larger the number, the larger the association. Of course we know that association is not causation. 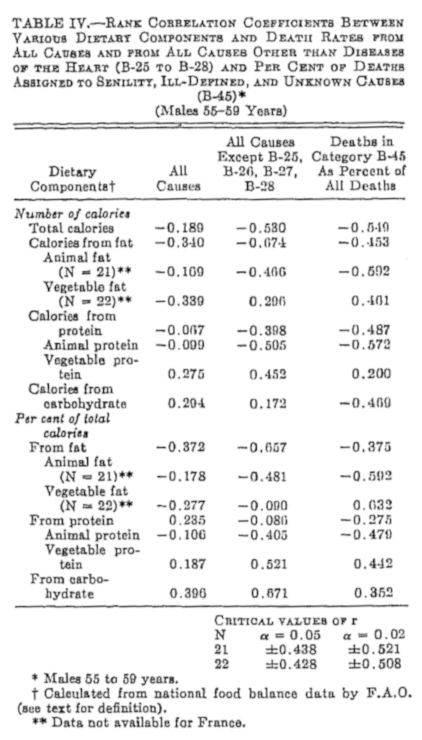 All cause mortality is associate the most strongly with carbohydrates (+0.396) and the least with calories from fat (-0.340). This is also the subject of another paper (Pett, et.al. Ancel Keys and the Seven Countries Study: An Evidence-based Response to Revisionist Histories). Here is another related BLOG post (From Ancel Keys and the diet-heart hypothesis to LCHF may not be a huge leap. ).